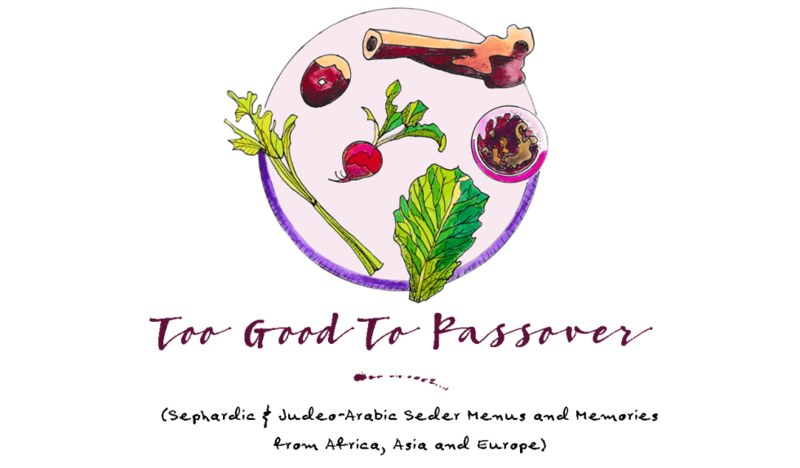 too GOOD to PASSOVER | Sephardic & Judeo-Arabic Seder Menus and Memories from Africa, Asia and Europe! On May 22, 2001, Grandma Fritzie passed away on Manhattan’s Upper West Side. I have been thinking a lot about her lately. Only a week ago I received an email by a woman named Francine in Tucson who had purchased a lithograph by my grandmother at an estate sale. After doing a search online Francine came across my website and information about the life of my grandmother. She was intrigued by her strong personality and drive to be a female artist in the sixties and seventies, and was reminded of her own Brooklyn born Italian-American family, with their large family gatherings that centered around great food. When I received this email with the photo of my grandmother’s lithograph, I was happy to know that her artwork was keeping the memory of her alive. Unfortunately Grandma Fritzie never got to see my cookbook “A Fistful of Lentils: Syrian-Jewish Recipes From Grandma Fritzie’s Kitchen” when it was officially printed in 2002. But I am so very grateful that I spent so much personal time with her while writing it. This book was what brought me into the world of recipe recording and teaching, and Syrian food was my first lesson. Very recently I received a letter from the publisher that all rights to the cookbook had been reverted back to me. My first reaction was to feel sad because I thought that if my cookbook was no longer being printed, my grandmother’s, mother’s and family’s stories and recipes would be forgotten (which was the whole point of writing this book to begin with!). But then I realized this was an opportunity for me to take back my book and relaunch it with revised (and possibly even new) recipes. I have learned a lot about self-publishing this last year when “Too Good To Passover” was released in January, and it almost feels like “A Fistful of Lentils” has finally come back home to me in my care. By the end of this year I hope to relaunch a new edition to “A Fistful of Lentils” that will continue to keep my family’s stories and recipes, and the Syrian-Jewish culture alive. Stay tuned!